People all around the district are assisting with the making of red remembrance poppies for Kurrajong Week next year. Our original idea was to make one for every district World War 1 volunteer, however this has now been expanded to create a larger installation, inspired by the 5000poppies project in Melbourne. The organisers of this project have given permission for the use their patterns for our project. One local craft group has already made 300 poppies, one for each those who gave their lives during the War. If you would like to sew, knit or crochet poppies for our project patterns can be obtained by contacting us or from Inverell Shire Library. Finished poppies can also be left at the Library. 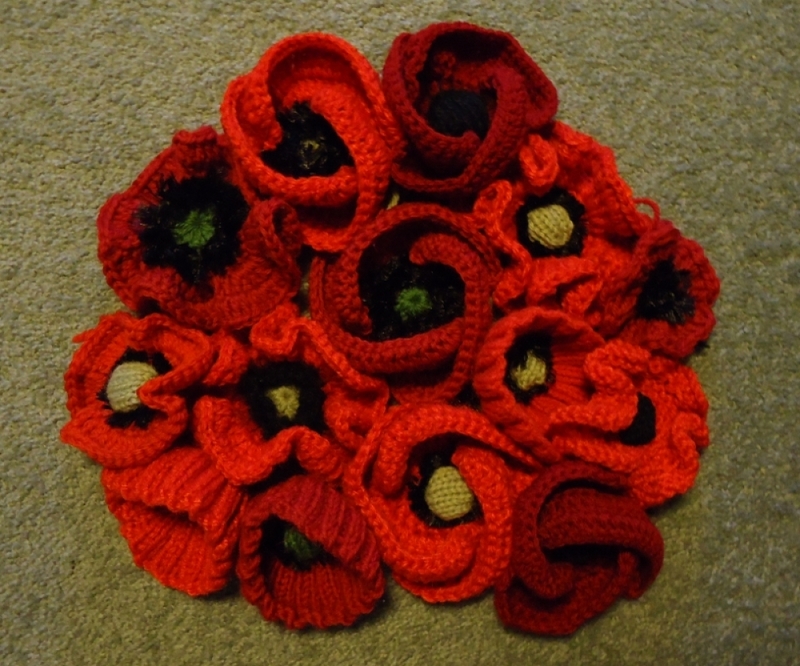 Our next poppy making day will be held at the Shire Library on Monday 2nd March at 10 am. Anyone wanting to know more about the project can come and join in on this day. Please bring your own knitting needles, or crochet hook and scissors. Donations of 8 ply red and black wool or yarn would be much appreciated. How many poppies can we create?